Once your young child begins attending preschool, he or she will begin to ask to do some of their favorite activities at home. Here are a few of the most common types of preschool activities that engage children’s interest and helps them to learn new skills. A simple walk around the block or a trip to the local park can be a learning activity if you encourage your preschooler to find objects along the way that are representative of the experience. Souvenir items can be special rocks, fallen leaves, a flower from a shrub, feathers from bird or any object that catches the child’s eye and evokes their interest. The child can then decorate a shoebox with paint and construction paper to store the souvenirs of their excursion. On rainy days, you can take out these souvenir boxes and see how much your child remembers about the experience. This activity combines two activities that most preschoolers love, recognizing shapes and tasty cookies. Make up a simple batter for sugar cookies or buy pre-made dough from the store. Roll out the dough and uses a butter knife to cut out circles, squares, triangles and diamonds from the dough. Cook for the appropriate amount of time and serve for a special learning treat. The different shapes will brown at various times, so keep an eye on the cookies when they are in the oven. Even if you don’t have any musical instruments, you can teach your children about keeping time and rhythm by creating your own. An empty oatmeal box or metal pan can be hit with a spoon to keep time. Fill an empty soda can with dried peas and put tape over the open top for a maraca. Combine the rhythm exercise with marching or dancing and you have a workout for both body and mind. You can make the most of your child’s best learning years by providing interesting activities that help them to improve their basic skills. Save money by making your own paints, play dough, craft clays, glue, paste and other arts and crafts supplies. Learn how to expand your child’s arts and crafts horizons by learning how to print with rollers and sponges, make super goop and silly putty, make a paper-mache piñata, a Chinese lantern, gingerbread people, a jellybean picture, play dough jewelry, spoon people, a pinwheel, a paper bag kite, party hats, an egg-carton butterfly, a noodle necklace, a feather headband, or a paper doll chain. Prevent boredom during even the longest stretches of rainy or cold weather with ideas for indoor play like newspaper golf, magnet magic, the listening game, red light/green light, and hand puppets. 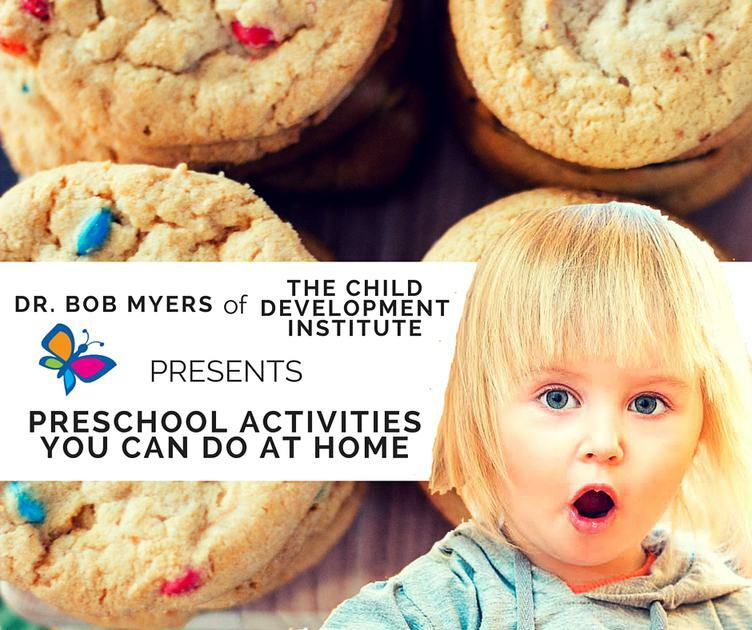 Help children learn to have fun in the kitchen making fruit kebabs, popsicles, homemade peanut butter, a happy-face sandwich, alphabet cookies, animal pancakes, finger Jell-O, popcorn ball creatures, and the best chocolate chip cookies in the whole world. Teach your child practical skills like setting the table, putting away the silverware, sorting socks, sewing practice, and carpentry (hammering golf tees into Styrofoam, with a toy hammer). Introduce your child to numbers and counting with activities like “One-Two, Buckle My Shoe,” telling time, coin and stamp collecting, sorting a mixed-up deck of cards by numbers and learning how to find today’s date on a calendar. Prepare your child for reading by working on an alphabet puzzle, making alphabet cookies, making an alphabet book, and connecting the dots in alphabetical order to make a picture. Help Your Preschooler Build a Better Brain: Early Learning Activities for 2-6 Year Old Children If an expensive preschool is not an option, create one at home! Written by an experienced Montessori Teacher, this unique guide has years of fun activities and the information you need to help your child develop strong brain architecture, a positive self-image, and advanced skills in math, reading, and writing – a perfect preparation for success in school. You can do this! From 3-6, a child’s brain is fully engaged in opening new nerve pathways and developing the executive functions like working memory, planning, and multi-tasking ability. We build most of our brain nerve architecture for life by age 6. The early years are when we can make the most powerfully positive difference in a human being’s life. All the activities you need are here: Practical Life, Sensorial, Art & Music, Science, Language, and Mathematics. Hundreds of links to the best videos, sites, blogs, and free materials are integrated into the text to support your home early learning efforts and save you untold hours of searching. Most activities use common, inexpensive items parents may already have. Recommendations are also given for affordable Montessori and other quality early learning materials; and over 225 of the best educational tablet apps, as well as a guide to how and when to introduce preschoolers to digital media, so you won’t always have to say no to screen time. 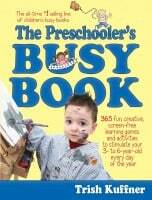 No other resource offers parents of preschoolers so much at such a reasonable price.